Making the decision to temporarily work as a nurse somewhere you’ve never been and with people you’ve never met takes a lot of courage, but an endeavor like this can have huge payoffs. Nurses on travel assignments encounter dozens of opportunities to grow their knowledge, experience, and connections, and all it takes is an effort to network. Networking benefits professionals no matter what industry they work in. Getting to know other people with similar career goals and interests will enlighten you as to what goes on in the industry and how others are striving to reach their full potential. Professionally, networking while on a travel assignment can help you discover the inner workings of another clinic or hospital. It’s easy to get stuck in the mindset of your usual place of employment, but when you talk to people in different environments, you learn how things vary and change, opening your eyes to the greater scope of your profession and the opportunities available to you in the sphere of nursing. If you desire to improve as a nurse, meeting different nursing professionals can introduce you to people who can inspire and teach you skills and techniques you’ve always wanted to learn. Conversely, you can also teach your own skill set to colleagues while you work together and explain your own point of view. Exchanging ideas always has the potential to lead to professional development. In terms of the job itself, getting to know the people you work with is vital for the overall success of your performance. Being in touch with how things operate is necessary for making the transition to a new place of work, and knowing who you can ask for help or how you can inquire about certain issues is vital. Teamwork is necessary in a medical setting, and you’ll fit in best if you go out of our way to learn about others. Many nurses who choose to travel for a short-term nursing job enjoy exploring new places and medical practices. Getting to know your new coworkers will provide you with informational outlets outside of strict professionalism. Your new connection can inform you about the area, where all of the best restaurants are located, what’s fun to do nearby, and why it might be a good place to live. 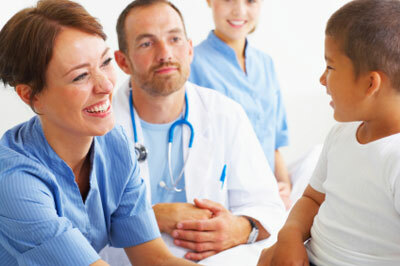 These connections can also explain why or why not they enjoy what they do and give you further insight into the dynamic of your hospital or clinic. Introduce yourself — to everyone. You never know who you can learn from. Don’t stress too much about what you’re going to say, but be ready to engage in some sort of job-related discussion. Choose a few topics you’re comfortable talking about and be prepared to start a conversation based on them. The important thing is ensuring that the people you’re meeting remember who you are after time passes. Making business cards is a relatively cheap and easy way to have something professional to give out while you’re networking and improve the chances they’ll remember who you are. Also, make sure to collect business cards from the people you meet; write a few notes that will help you remember where and how you met this person (and maybe something you have in common); and keep it someplace safe. It’ll make a good point of reference months later when you’d like to remember details of your encounter. When speaking with your new acquaintances, show enthusiasm for your profession and remain upbeat. You want to make a positive impression, and if you appear excited about your nursing career and eager to learn more, people will be more willing to help you. It’s important to remember, though, that the object isn’t just to benefit from the skill set of others; it’s also important to impart your own knowledge and make the connection mutually beneficial. Offer to help other nurses learn new procedures or assist with others’ patients. Show that you can contribute and leave a lasting impression on your coworkers. Getting to travel, meet new people, and experience different methods of doing things can be an amazing and valuable experience. Networking ensures you’ll make the most of your time spent at the new location. If you have professional connections, you can learn from them, reach out to them whenever you have questions or concerns about nursing, and continuously have access to different opinions and points of view.